SUBHEAD: The Texas capital plan for sustainability does not include some minority neighborhoods. Image above: In some cases, little more than a fence separates Manchester homes from neighboring fossil fuel industry. Photo by Paul Hester. From original article. Parras grew up in 1950s West Texas. He remembers segregated schools, the restaurants that wouldn’t serve him, the unpaved roads, and the people who lived closest to the local refinery. Those experiences led him to a career as a social justice advocate. 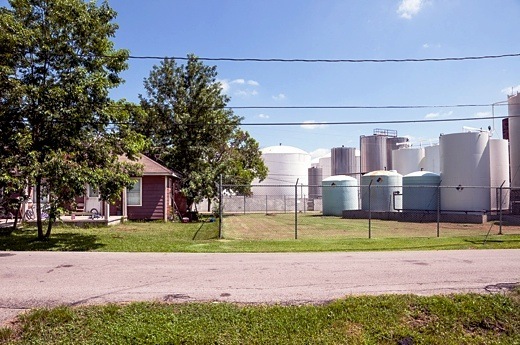 The toxic tour sometimes concludes in the neighborhood of Manchester, a six-square-mile grid of streets where the petrochemical industry towers directly over small homes. Where, according to EPA databases, Valero Refining can produce up to 160,000 barrels a day of gasoline and other fuels. Where the Ship Channel Bridge, one of the busiest stretches of Interstate 610, carries tens of thousands of vehicles per day (along with their emissions) directly over homes. And where about 4,000 people live — more than 95 percent of whom are people of color, and 90 percent low income. The cancer risk for residents of Manchester and the neighboring community of Harrisburg is 22 percent higher than for the overall Houston urban area, according to a recent report from the Union of Concerned Scientists and t.e.j.a.s. While the city works to overcome its image as a dirty oil town, these neighborhoods remain solidly dominated by the petrochemical industry. And despite the work of Parras and his team, the environmental and health issues that Manchester’s residents face are not gaining enough political traction to garner real change. In 2016, Houston was lauded for its “green transformation.” The D.C.-based nonprofit Cultural Landscape Foundation brought visitors from around the country to study new investments in the city’s parks, as well as an 150-mile network of trails alongs its bayous. Long the whipping boy of the urban-planning world, the fourth-largest U.S. city will soon have half a dozen signature parks designed by internationally known firms. Beyond financial disparities, the region’s signature industry inflicts a staggeringly disproportionate burden on east-side residents. According to the Union of Concerned Scientists’ report, the airborne concentration of 1,3-butadiene, which causes cancer and a host of neurological issues, is more than 150 times greater in Manchester and Harrisburg than in West Oaks and Eldridge, relatively affluent neighborhoods on Houston’s west side. The so-called Phillips disaster — which was actually multiple explosions at the Houston Chemical Complex owned by the energy company Phillips 66 — broke the windows of his school. Twenty-three Phillips 66 employees were killed and 314 people were injured. 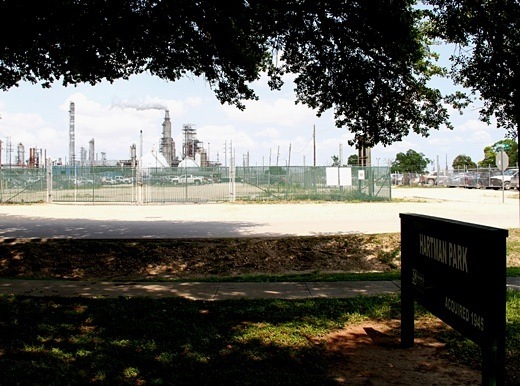 Meanwhile, it’s tough to argue that Houston — despite its new park-building boom — isn’t prioritizing industry over the health of its vulnerable communities. In May, Houston agreed to sell Valero several Manchester streets near its refinery for $1.4 million. The energy company will expand its footprint, adding auxiliary buildings and more parking for the facility. But he still didn’t see the deal coming. Policy that would help Houston control its pollution problem is tough to enact in a town dominated by the petrochemical industry. In 2005, a Chronicle investigation on industry-reported emissions spurred then-Houston Mayor Bill White to approach companies about voluntarily reducing air pollution — 1,3-butadiene, in particular. The court ruled that the city does not have authority to enforce clean air regulations. During the last legislative session and the current special session, state politicians have put forward a range of bills using that and other pro-industry precedents to undermine the city’s ability to police environmental issues. Lawmakers have attacked tree-preservation ordinances, fracking bans, and policies to reduce single-use plastic bags. A 2016 report by the Sierra Club, Public Citizen, and Texans for Public Justice found that the three state oil and gas regulators raised $11 million in recent years, 60 percent of which came from the industries they’re charged with monitoring. A 2017 report by the Environmental Integrity Project found that Texas penalizes only 3 percent of the illegal pollution releases reported by companies. In some cases, little more than a fence separates Manchester homes from neighboring industry. Paul Hester Houston-based and other Texas nonprofits — like Air Alliance Houston and Environment Texas — have recently banded together to try to bring the air quality around so-called fenceline communities (meaning they border the fences surrounding industrial facilities) into the public consciousness. “Through storytelling and good science, we are informing people that we need better air for a healthier and prosperous Houston,” says Matthew Tresaugue, who manages the newly formed Houston Air Quality Media Initiative. The strategy includes amplifying the voices of residents, like Bianca Ibarra, a recent graduate of Galena Park High School, whose video PSA won a competition held by the media initiative and sponsored by the Environmental Defense Fund. 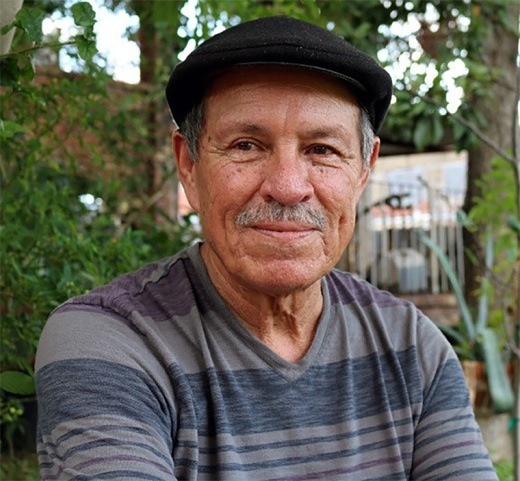 Image above: Photo of Juan Parras who has led Texas Environmental Justice Advocacy Services for the past decade. From original article.